We boost the success of your business by connecting you with the people you need. A wealth of experience and ongoing relationships with over 500 Asian companies in Europe. We will introduce candidates to you based on your labor requirements: permanent, contract or temporary. Experienced multinational consultants based in every major city in Germany are able to provide close assistance. Legal advice and visa support provided by an exclusive attorney. Client Inquiry – We talk with you to build an in-depth understanding of the requirements of the position you‘re looking to fill and your ideal candidate‘s skillset. Candidate Introductions – We introduce to you the candidates who have passed through our initial interview process. Interviews – We arrange for interviews to be held between you and your chosen candidates at your convenience. Hiring Decision – We mediate in the contract negotiations between you and your final candidate. Employment Contract – Our in-house German Labor Law experts will be on hand to answer your concerns regarding the employment contract. *Our company-affiliated lawyers will provide support through the process of obtaining work visas, as well as through the drafting of offer letters, employment contracts and internal company regulations. If you have any questions to do with recruitment process, please do not hesitate to contact us. As HR professionals in Europe, we will make use of our extensive experience to introduce you to the experts of every field. After holding preliminary interviews with a cohort of initial candidates, we present to you the individuals who match your requirements, along with a comprehensive service which includes interview arrangements, formulation of employment contracts, and visa application support. We provide a contingent recruitment service and thus will only charge a fee until after we have successfully placed a candidate and the employment contract has been signed by all relevant parties. Should a suitable candidate not be introduced and no employment contract has been signed, no fees (eg. for research or referral) will be incurred. *Please contact us should you require more information. Access the skills and talent you require now, immediately. 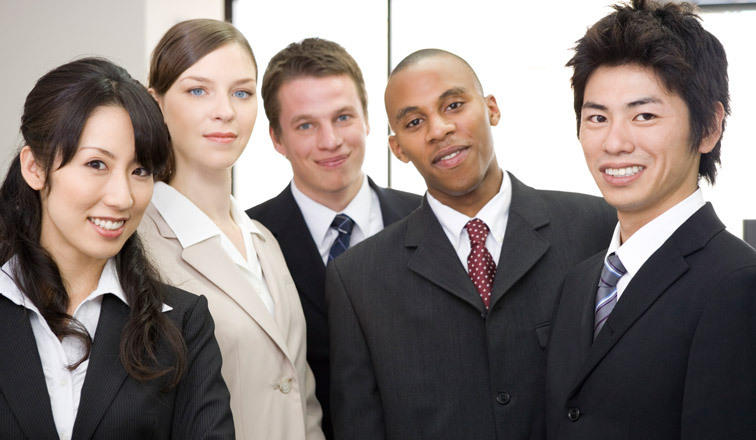 We provide temporary staffing solutions to suit your temporary personnel needs. Through holding prior consultations, we diminish the risk of problems arising from a mismatched employee and we can assure the continuance of a good working relationship between business and employee after the initial trial period. We drastically reduce the burden on your business by taking care of the technicalities of employment such as the creation of employment contracts and the process of employee dismissal.